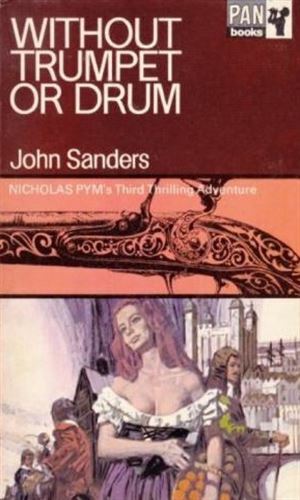 Nicholas Pym is an agent for the British Lord Protector. The action takes place during the brief "reign" of Oliver Cromwell, 1653-1658. History has had an interesting time with Cromwell. Some historians have painted him as a dictator bent on regicide whenever possible. Others have cast him as the savior of England during a period of great struggle. For his work at harshly putting down a rebellion in Ireland, he is not looked upon well on the island. 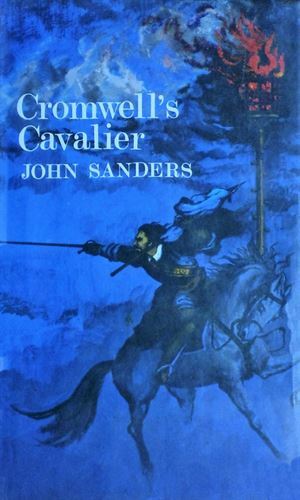 To the chronicler of the adventures of young Pym, not to mention the agent himself, Cromwell was a great man who served England with a religious devotion. Pym mused early on in the first adventure that he had no hatred of the idea of royalty and he would have "doffed his hat with as much respect to King Oliver the First and he already did to the Lord Protector". Where Cromwell and his followers showed their worth was having the nerve to stand up against kings who felt themselves on the throne thanks to the will of God instead of the support of the "common English". Pym shows right off he is a man of deep convictions who is willing to put his neck on the line for them (having recently seen Charles I lose his). Pym has a personal stake in the battle against the Royalists that Cromwell had beaten back. During the final stages of the civil war, his father had been a victim of a Royalist sharpshooter. Cromwell had been a good friend to the elder Pym and with that man's death taken on the responsibility for the younger one, then a teenager. He entrusted Pym to the private seminary of his Secretary of State. A handful of years later, Pym graduated with full honors and given the rank of Captain in the Republican army. Further, he was awarded a "roving commission" described as a "slip of parchment in his wallet, signed by the Secretary of State" which "requested complete assistance and co-operation from whomever he should demand it of". It was countersigned by Cromwell and Pym was instructed to "seek out the enemies of the Commonwealth and destroy them utterly." A handsome, virile young man with long black hair, Pym catches the eye of many young women (and not a few older ones) and he is definitely not adverse to responding. He is also the object of quite a few men who would love to do away with him and he has had to remove them from the playing field. He does not come across as one particularly anxious to kill a foe but neither is he likely to spend much time regretting having done so. 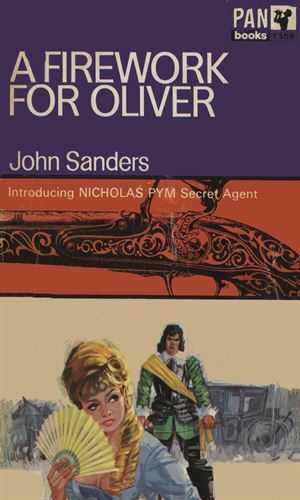 Nicholas Pym is given the extremely difficult task of stopping the manufacture of an amazing new gun that is so much better than existing weapons as to put at risk not only the nation's security but the personal safety of the Lord Protector, Cromwell. 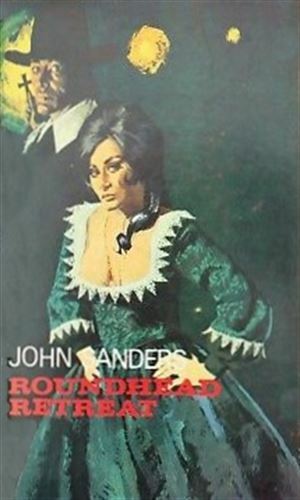 I, lover of all spy series, had never heard of this one until a couple years ago my good mate, Mike Ripley, author and columnist and scribe of the terrific Kiss Kiss Bang Bang, the incredible history of British thrillers from the 60s and 70s, made note of it in his monthly column Getting Away With Murder. That put it on my "to be read" list. And then I kinda forgot it. Luckily, a fellow spy fan reminded me of this series so I got my hand on the first book (others on the way, when I can afford them). I was surprised, though I should not have been, when I got my copy of the first adventure for it was a not-inconsequential size, having 250+ pages of smallism print. There was a lot to this story. 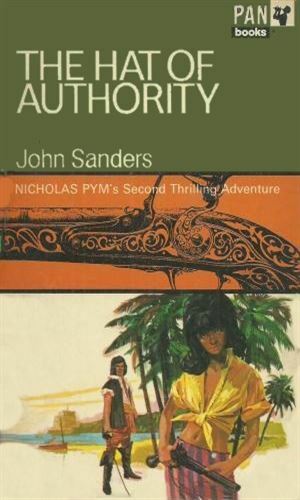 And then the writing showed even more how this was an historical novel which happened to be about a spy, not a quick-and-dirty action story that took place deep in the past. After my surprise left me, I was impressed. Pym is a very interesting character. He is decidedly earnest in his actions and his beliefs and though he is still in the final period of growing up, he shows a lot of maturity most of the time. Don't read this series if you are looking for a quick shoot-em-up. If, though, it is a rainy weekend, this is a good series to peruse with a warm fire next to you. James Bond vs. the Malignants, complete with links to the Fawkes family. Absolutely grand fun. My only complaint is that the Malignant superweapon may have been beyond the technology of the time. Great masquerade party, through, It passes the Donna Leon test: , the writer has got to persuade the reader that the quest (solving the mystery) is worth the effort and the cost.